Enjoy Comfort at an Affordable Price. 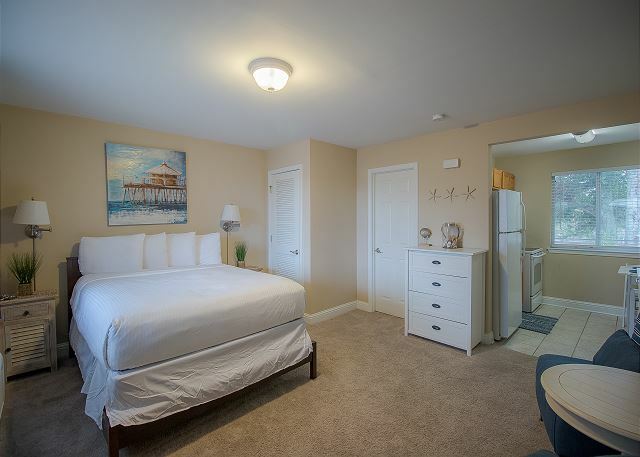 Newly remodeled Studio just steps from the Beach and a short distance from the Casinos, Museums, Historic District, Exciting Entertainment, Golf, Water Fun, and so much more. Located on Beach Blvd. between the Treasure Bay Casino and Beau Rivage and Hard Rock Casinos. 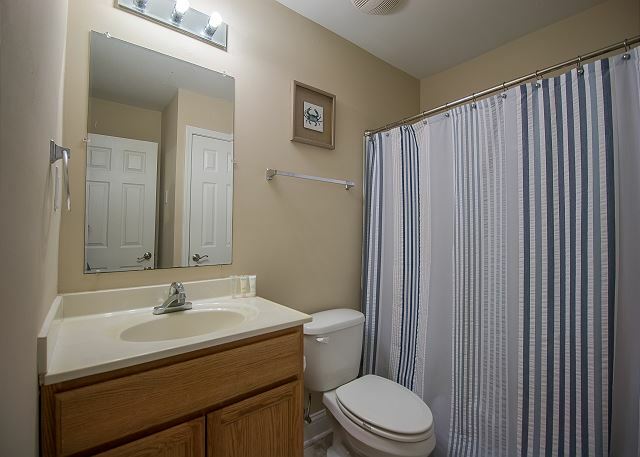 Features smooth-top Range, Ceramic Tile Floor in kitchen and bath, plus carpeted Living Area, Washer/Dryer combo, Furnished Kitchen, Dishwasher and Breakfast Nook. New 55" HD Flat Screen TV and Blue Ray DVD player. 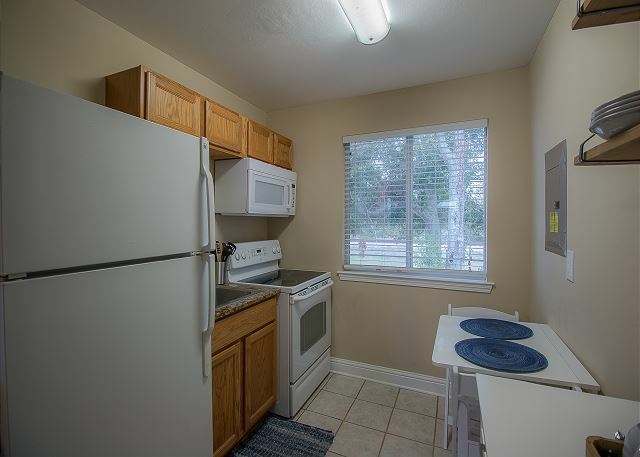 This unit is relatively new and nicely decorated. 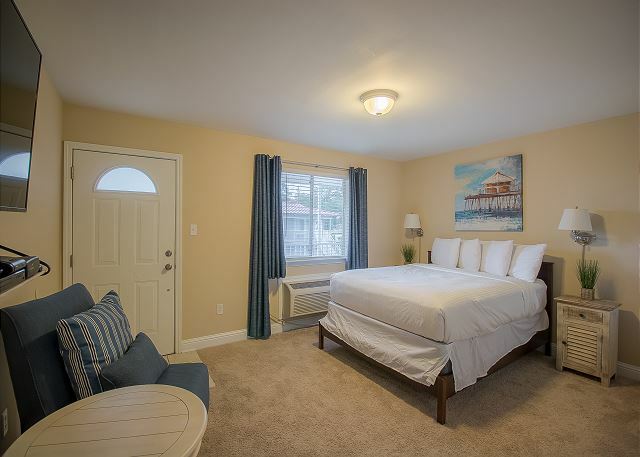 Great choice for one or even two person stay. Only drawback is the fact that it’s directly located near train tracks and you hear it LOUD all times throughout the night as well as shaking in the unit. However kitchen works well and is fully stocked with utensils. Bathroom was clean. It was great. Place was nice and clean, area was quiet. The raid could be fixed to many pot holes. This room was very clean ! And right across the street from the beach ! Perfect location only a couple of mins from the mall and walking distance to several other restaurants ! The room was excellent ! Comfortable bed , supplies where available on the first day, and most of all fast internet for those that require to work from home . The staff is amazing and super friendly! I would highly recommend anyone coming to Biloxi , MS to check them out first . Thank you for your feedback. We are delighted that you had a great stay, finding the unit to be comfortable and the staff to be friendly and helpful. As always, we appreciate your comments and look forward to seeing you again soon.